The highly anticipated final season of Game of Thrones is upon us, and at NetFlorist, we are ready for the coming winter, and all that it brings! We all have a Game of Thrones character in us. We’re all made with a dash of Tyrion Lannister, sprinkled with a pinch of Jon Snow, and maybe just a smidge of Cersei Lannister! One of the deeper intrigues that we feel when watching the show is identifying with the house that embodies our own values. The Lannisters embody self-love (maybe a little too much! ), the Starks embody strength in adversity and the Targaryens embody an inner vitality, and we all have a loved one that has one or more of these qualities. Whichever great house that your loved one falls under, the gifting fairies at NetFlorist have an assortment of perfect gifts and treats best suited just for them! The Lannisters’ noble colours, ‘gold and crimson’, signal their desire to be royal, and we all have that special someone in our lives who loves sophistication, and who boasts a personality that demands attention. Whether they are a Jaime, a Cersei, or a Tyrion Lannister, we have a few gift ideas that will satisfy the loved ones that embody those larger-than-life traits of House Lannister. 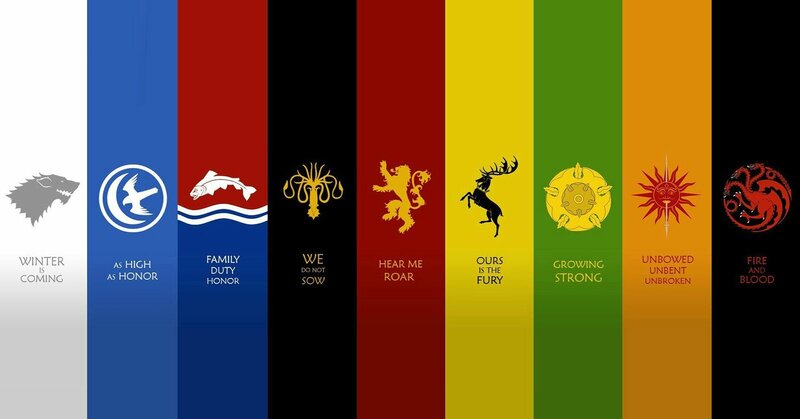 The Lannisters’ motto, “Hear me roar”, symbolises the family’s power, strength and ferocity. Admit it, hate them or love them, we all wish we could be them! 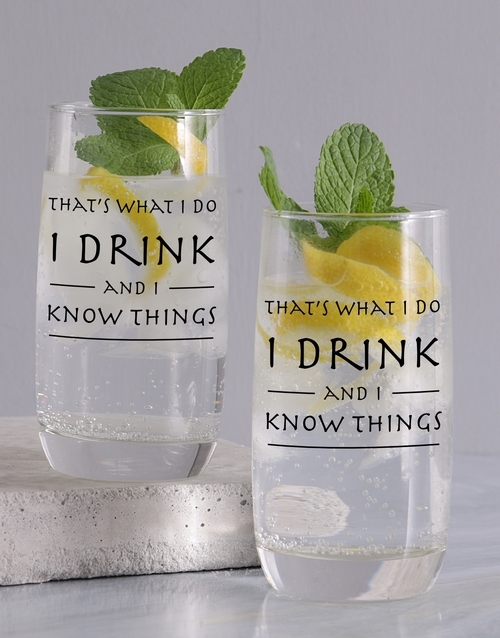 Spoil a Tyrion Lannister in your life with a personalised gift that features the character’s most famous words, “It’s what I do, I drink and I know things”. The man might be short, but his wisdom knows no end. You’ll know him when you see him; just like Tyrion Lannister is not bound by the mold of his family, a Tyrion in your life will be the person who loves to indulge in the finer things, but will always stop to take in their exquisite beauty. This stunning glass set is masterfully crafted to provide a stunning brilliance reminiscent of the picture-perfect appearance of a Lannister. However, just like Tyrion Lannister, it’s always what’s inside that matters most, so why not explore our fine alcohol for a special touch? Gold is the colour of the crown, and the colour of the precious metal which indicates sophistication and prosperity. Just as the Lannisters boast a wealth and culture that demands attention, this exquisite quality times edible arrangement is a perfect chocolate gift for someone with a taste for the finer things. The gift is an exquisite chocolate confectionery wrapped in gold, and presented with an inspired blend of aged scotch whisky – just the way a Lannister would love it! The Starks are the lords of Winterfell, and at NetFlorist, this is the house that tugs most at our heartstrings. From the hardships that define them to their strength of will at the face of adversity, the Starks in your lives are the people that stick with you through difficulty and warm your heart when winter comes! Reminiscent of a loved one with a soothing and calming personality, the Stark colours are grey and white. Grey is a neutral colour, symbolising the transition between black and white. The Starks in your life will be the people that are quiet, reserved and never the centre of attention, so a perfect gift for a Stark should reflect that eternal humility. What could be the perfect gift for that little Brandon Stark? A T-shirt fit for that sweet summer child in the family, of course! 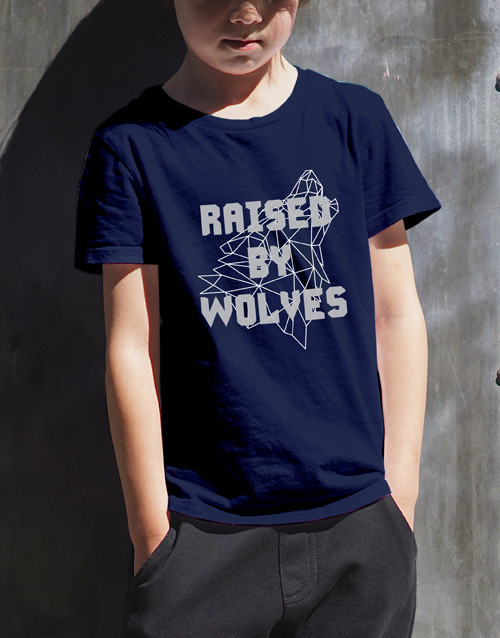 Just as Bran grew up alongside his direwolf, Summer, this extraordinary raised by wolves kids T-shirt reads, “Raised by wolves”, and makes a perfect clothing gift for that little Stark. Whether they’re a sweet Brandon Stark, or the innocent Rickon Stark, spoil your little brother, little cousin or youngest son with a gift fit for the future Lord in the North! “White” is another colour of House Stark, and is reminiscent of snow, which brings to mind the season of winter. White symbolises purity, innocence and naiveté, and if there’s one Stark who embodies these characteristics, it’s Sansa Stark (especially in the earlier seasons). 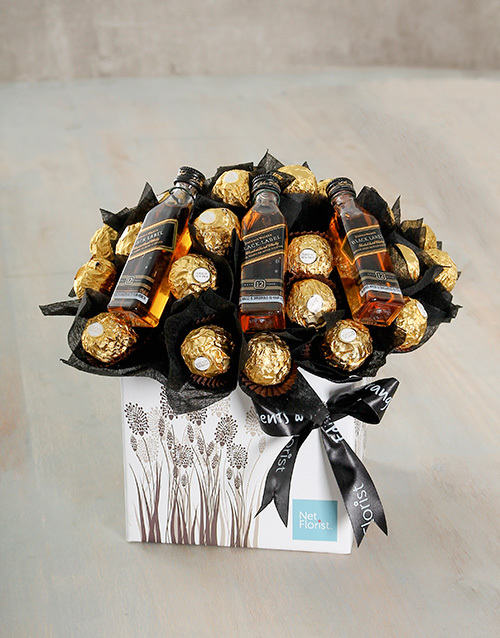 The NetFlorist bunch have mixed feelings about this Stark – on one hand, one might find her blind love for Joffrey infuriating. On the other hand, he was a prince! This radiant white elegant rose bouquet is for the Sansa Starks in your life. The Sansas are hopeless romantics, wide-eyed daydreamers and pensive night-thinkers. Every lady has a Sansa Stark in her, as well as that one hope to have a prince declare his undying love for them. Sansa named her direwolf, Lady, as she, herself, wished to be a lady and marry then-prince, Joffrey. The Sansa in your life is a thinker, a doer, a believer in the power of love and someone who sees the possibility of dreams. 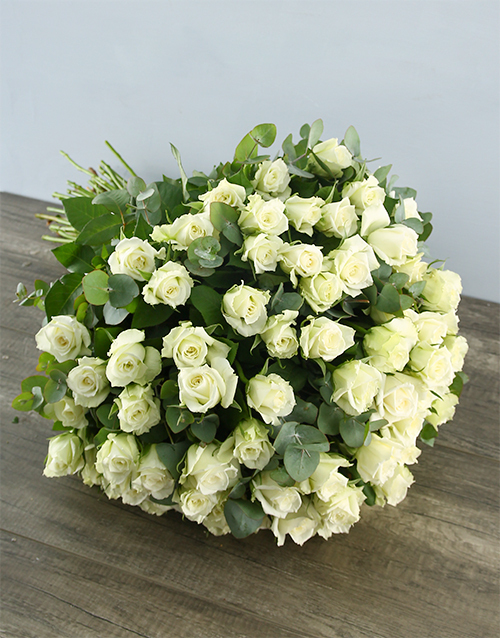 These enchanting white rose blossoms would make an amazing good luck gift that will give her the well wishes she needs to go for everything that her heart desires. 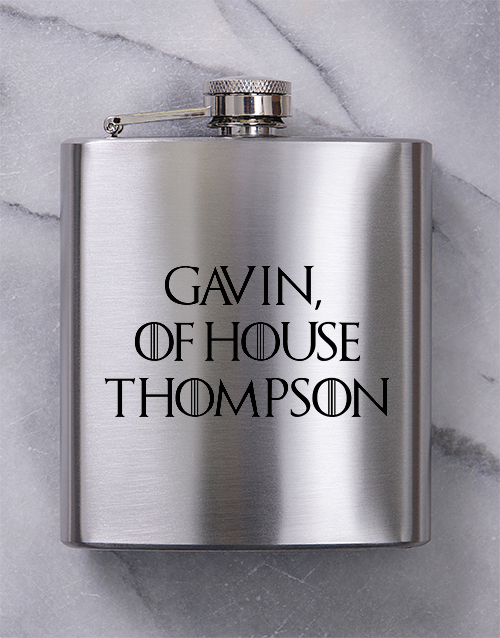 Just as the Starks represent tough stoicism, strength of will, and a determination to persevere, this personalised got hip flask is seamlessly crafted for the true stoics in the world. Highly convenient and timeless, a hip flask is a perfect gift of class and status for the man of all seasons. Jon Snow is arguably the character that embodies the hardships that define a Stark. In the real world, Jon Snows are the people who have lived through adversity, and found a way to turn those hardships into a strength. The word, ‘Stark’ comes from a word that means ‘hard and barren’, and is fitting for a loved one who speaks truthfully, loves endlessly, and fights wholeheartedly. Jon Snows are mild-mannered hard workers, and most importantly, are the people with a determination to face the harsh realities in the world and succeed at all costs! The Targaryen house brings the magic and the fury, and represents an inspirational vitality that we, at NetFlorist, take to heart as well! The Targaryens in your life are the people that exude leadership, a belief in mythical power, an inner vitality, and a love of destiny. These are your loved ones that have a firm belief in the mysteries of the world, such as astrology (and dragons). The strong bold colours of house Targaryen, ‘red and black’, are a combination of action, passion and a will to win as well as conviction, determination and empowerment. These are the loved ones with a drive to succeed and a compassion to help those in need. A Targaryen is a patient teacher, a driven colleague or boss, a determined friend and all those in your life that aim high in order to succeed in their dreams. You saw this coming, didn’t you? If ever there was an epitome of an empowered woman in house Targaryen, it would be Daenerys Targaryen! She’s a self-empowered beacon of strength, and boasts an unwavering sense of purpose. 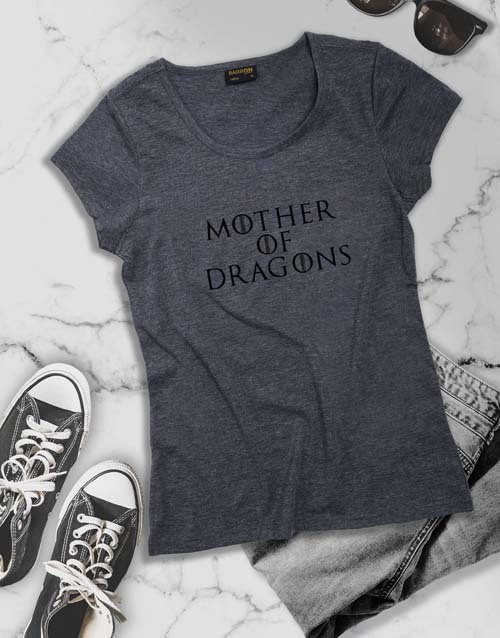 This extraordinary mother of dragons ladies’ T-shirt consists of text which reads, “Mother of Dragons” just as Daenerys herself is called ‘The Mother of Dragons’ by her followers. This is a perfect gift fit for a mother or mother figure with a heart of gold. Spoil the empowered female leaders of industry with a clothing gift that is reminiscent of the beautiful and noble Daenerys Targaryen! Gladioli represent strength and moral integrity. For a Targaryen, the former is an undisputed fact, but in the world of Game of Thrones, the latter tends to be up for debate. I mean, have you seen the damage those dragons can make? Even for Game of Thrones, that’s a big no-no! “Fire” is a symbol of power and vitality, and the reason why we love this red and white gladiolus arrangement so much. Presented in red fiery blooms which seem to curve and rise skyward in a floral blaze of glory, this particular arrangement represents the fire which burns in the heart of every Targaryen. 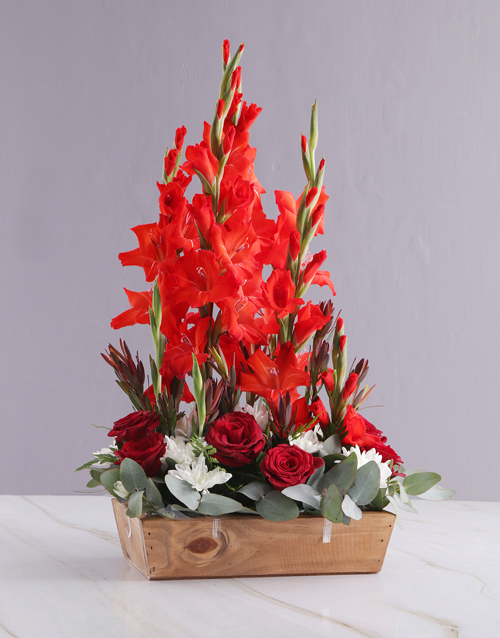 As winter comes, treat your loved one to a gladiolus arrangement that is the harbinger of warmth and summer! Don’t look at us, she’s the ultimate (and only) Targaryen, why wouldn’t everyone love her? This spectacular personalised mother of dragons iPhone cover is our favourite gift for your favourite Targaryen. 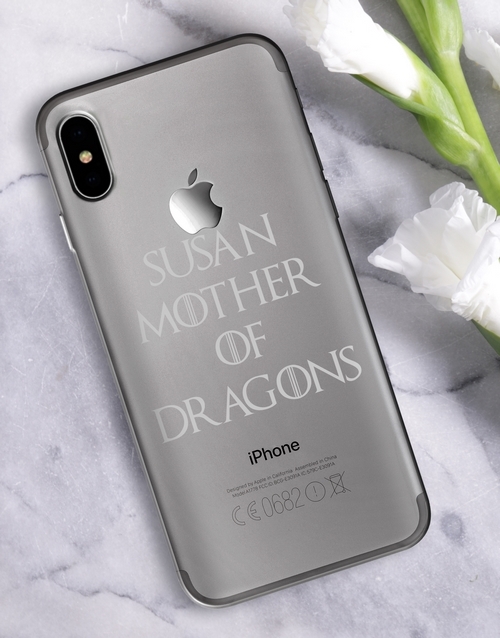 Whether they exude an elegant vitality or they have a courageous will to express themselves wholeheartedly, spoil the ‘mother of dragons’ in your life with a personalised cellphone cover with text that is reminiscent of Targaryen royalty. At NetFlorist, we love all things fantastic, and Game of Thrones is the pinnacle of fantasy in our eyes! The final season of this cultural phenomenon is upon us, and with NetFlorist, you are spoilt for choice with Game of Thrones gifts to spoil your loved one. Whether they’re from house Tully, house Baratheon, or even house Arryn, winter is coming for all of us… The question is, are you ready?